Dana Woldow, founder of Parents Educators & Advocates Connection for Healthy School Food (PEACHSF), interviewed one of my role models, Bettina Siegel of the Lunch Tray. I was excited to read how Bettina got started as a guest blogger because she did the same for me. As Dana said, that’s how the “better food for kids” advocacy movement grows – each one teach one. That same day, our local paper published an article about another of my role models, Anita Courtney. It has been wonderful working with Anita on programs like Better Bites and the Good Neighbor Store. We share the common vision of a day when healthy eating is the norm and not the exception. I’ve posted about growing other healthy food advocates like the 5th graders who are petitioning to stop the use food as a reward at school. 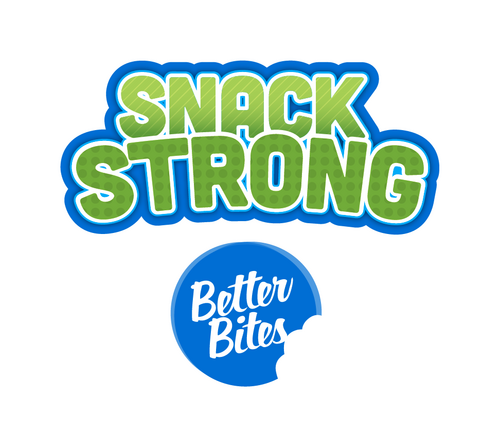 Today I’m sharing a testimonial to the power of providing healthy food for students by Angela Brumley-Shelton. She is a Community Health Equity & Education Coordinator at the Lexington-Fayette County Health Department and a parent of a student at Meadowthorpe Elementary. Her enthusiasm is contagious and the experience she describes at her son’s school captures the “each one teach one” spirit! I wanted to let you know that I volunteered to help with the Better Bites experiment at my son’s school. Yesterday was the 2nd try for the Yum Yum shop, my first experience. Wow, I felt like I’d been run over by a truck! We sold out of everything but veggies in a flash. A couple of moms had the idea, they’re working very hard. I was shocked at how excited the kids were to buy simple healthy snacks. We drafted our kids to help, they LOVED it. I was also saddened by the many kids who didn’t know how to count change, there were many little hands I stuffed grapes, granola, Cuties, and blueberries into that only had a quarter, dime, some who didn’t have any. It didn’t matter at all, we all agreed that wasn’t the point. I had to have a talk with my 4th grader, he was taking change, kept trying to turn some of the itty-bitties away b/c they were short a few cents. It was a great learning opportunity, he seemed so shocked that not everyone eats lots of fruits and veggies and healthy snacks like us and his buddies. The nutrition at our school has a LOT of room for improvement, so this was a huge victory. All for an outlay of $100 or less. We made back almost all the initial investment yesterday. But again, not the point. It was fun, and felt really important. Our own kids were putting the hard sell on the cups of frozen fruit, convinced many kids to try it. I had to show a few kids what blueberries were, that was disturbing. I think we’re putting a dent in the chocolate fundraiser sales for the school. We couldn’t give the cheese sticks or veggies and dip away, but ran out of yogurt, sunflower seeds, and frozen bananas quickly. I have my sights on the afterschool program, which my son attends. The snacks they serve make me cringe. One of the moms took a pic of the mob, it was great. We beat our heads against the wall so much in public hlth, it was fun to see something work so well. Thought you’d like to hear about it. Tags: Better Bites, PEACHSF, The Lunch Tray. Bookmark the permalink.